Catholic novelist Susan Peek is a wife, mother of eleven children, and a Third Order Franciscan. Her passion is writing novels of little-known saints and heroes, especially for teens and young adults (and anyone young at heart). She is an active member of the Catholic Writers' Guild, teaches creative writing in her spare time, and is currently continuing work on her series "God's Forgotten Friends: Lives of Little-known Saints." 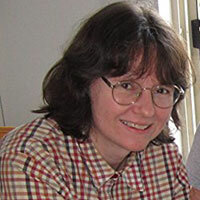 Susan Peek's books include "Saint Magnus,The Last Viking," which was awarded the Catholic Writers' Guild Seal of Approval in June 2015, "A Soldier Surrenders: The Conversion of St. Camillus de Lellis," having gone through three editions and translated into Spanish, and "Crusader King", which made it onto the list of the Top 50 Most Popular Homeschooling Books in 2013. All of her books have been implemented into the curriculum of numerous Catholic schools worldwide and continue to be a favorite with young adults and homeschooling families everywhere. Another amazing novel by Susan Peek. Another amazing novel by Susan Peek. I'm such a fan now. I read her book Saint Magnus: The Last Viking, which I loved, so I was so excited to get started on this story. The King's Prey is a story about broken hearts, misunderstandings, and sacrificial love. It tells the story of a king's lost love and how an illness turns what was good into something very evil and sinister. Susan Peek takes another saint's story and brings it to life in this awesome tale. And it certainly didn't disappoint, although it had me on a roller-coaster of emotions throughout. It was the multitude of misunderstandings between the brothers, Turlough and Brioc,and then with Brioc's wife and Princess Dymphna that drove the story from one bump in the road to another. Not to mention the pursuit of the crazy king. The story is definitely action packed! What I love most about Susan Peek's stories is that I can never predict how it will end. I have a bad habit of trying to guess the end of a story before I've really begun it. I was wrong with this story, and pleasantly so. The author's characters and imagery always come alive and it's difficult to put the book down. This is a fantastic story for older teens. I would warn that younger teens may find some of the story distressing, so parents should definitely read it first. I will definitely recommend this story and St Magnus and I really look forward to reading more from this author. Susan Peek's books are always well-written but this one in particular is one of my favourites. It has all the virtue of a good saint story along with the thrilling candor and animation of an adventure, true to the characters, the reader, and the story. As a teen myself I highly recommend! I discovered this saint years ago when praying for someone with mental illness, and I am so glad to be able to get to know her better through Susan Peek’s story. THE KING'S PREY is filled with emotionally-charged moments, humor, and high action; never a dull moment. Dymphna’s story is a difficult one. Her mother was a Christian and taught her the faith, but her father was a powerful pagan king with evil Druid advisors. Once Dymphna’s mother died, her father’s mental health deteriorated. He wanted his wife back and his confused mind saw her in his daughter. The teenage Dymphna, wanting nothing to do with a sinful arrangement—though it would provide all the comforts of life a king could offer—fled with the saintly Father Gerebran and others that you will meet in this story. This story brings the ugliness of evil and sin (in the King’s actions and his Druid advisors) up against the beauty of faithfulness, self-sacrifice, and bearing all for the kingdom of God. I am a fan of Susan Peek’s saint stories. And so are my boys. Every one of them touches my heart and increases my devotion to the saints. I am thankful that she has dedicated herself to bringing these little-known saints to life for us. St. Dymphna is so needed today as a role model for purity and an intercessor for all those who suffer from mental illness. Privileged to read an advanced copy of this book, I highly recommend it to teens and adults. I have loved all of Susan Peek’s novels but I think The King’s Prey is her best book yet! She has taken this story about a little known saint and created a heart-pounding adventure. For those who don’t know, Saint Dymphna was an Irish Princess in 628 who had to escape from her deranged father. There are not a lot of facts about St. Dymphna but it is known that she fled across Ireland from her father with the help of several people from her father’s court and a local priest. While this book is about a Princess, don’t let that fool you – it’s a great book for boys as well. Since not much information is available about those who helped Dymphna, the author has used her incredible story-telling skills to create an unforgettable tale about two estranged brothers with a heart-breaking past to add even more excitement to this fascinating story. The combination of perfectly timed humor, riveting chase scenes, and swashbuckling fights makes for a must-read book.